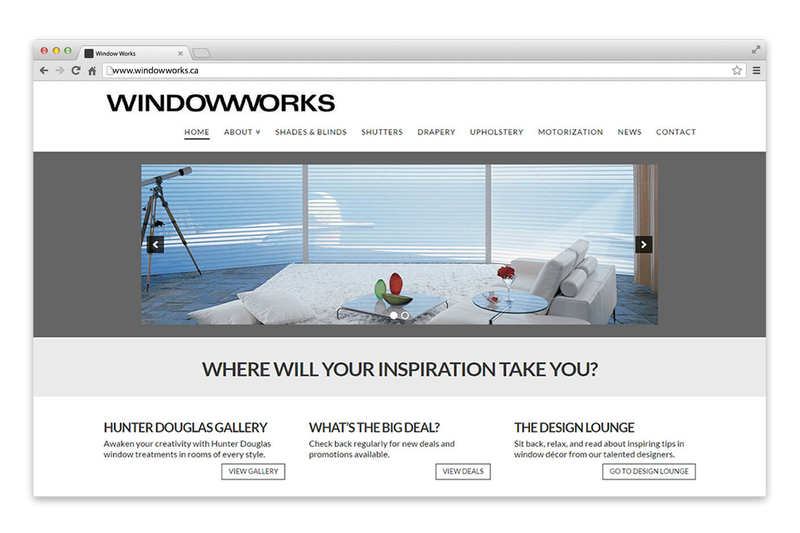 Portfolio | Windowworks | NetClimber Web Design Inc.
With 29 years of experience of supplying window coverings and upholstery throughout western Canada, Windowworks required a more up to date website that demonstrated their experience and prominence within their industry. The website design needed to be visually clean and modern; it was important that the overall look and feel of the website reflected their business’ top industry standards. 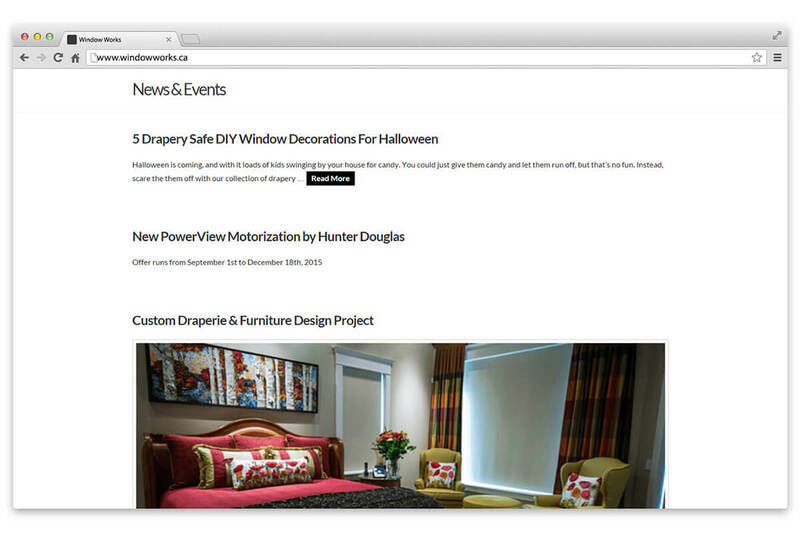 NetClimber created a website that is able to speak to the interior design architecture crowd, as well as high end home owners. 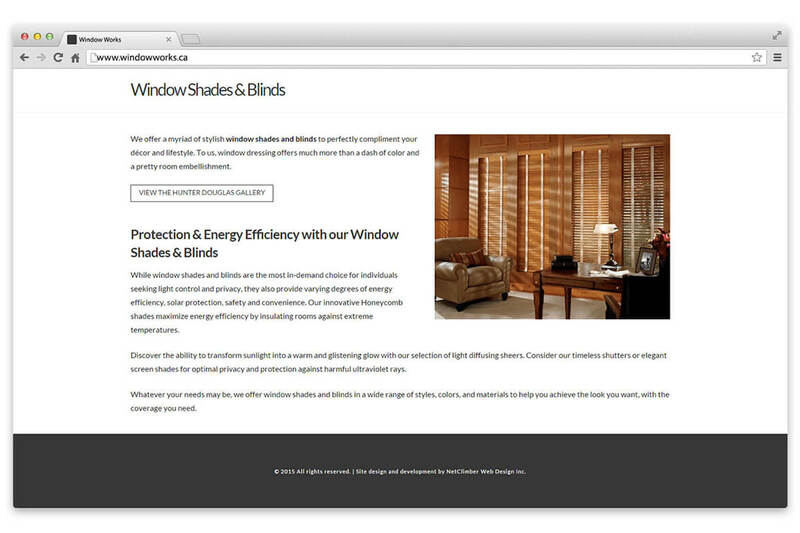 By using the WordPress platform, NetClimber was able to develop a website that achieved the look and functionalities that Windowworks required.